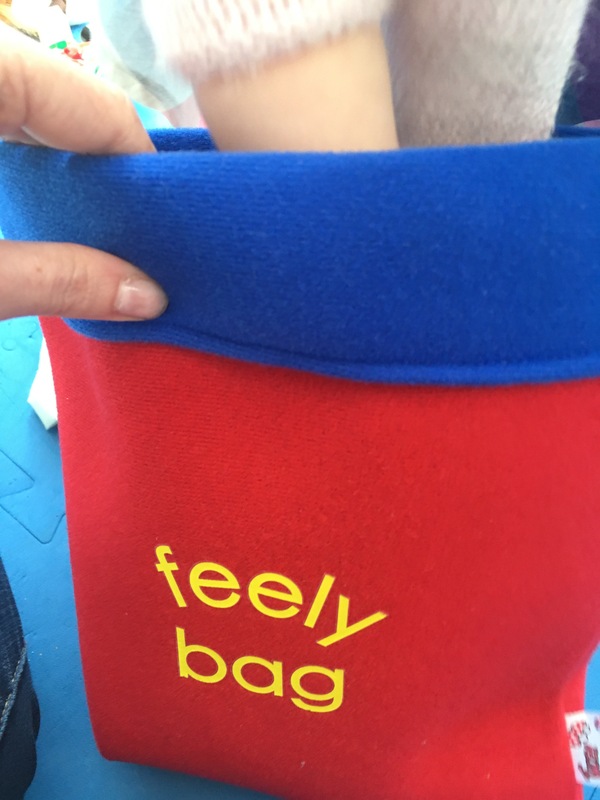 We’ve been on the look out for some resources to help develop children’s speech, language and communication skills and were fortunate enough to be able to try out a ‘Feely Bag‘ by Twoey. 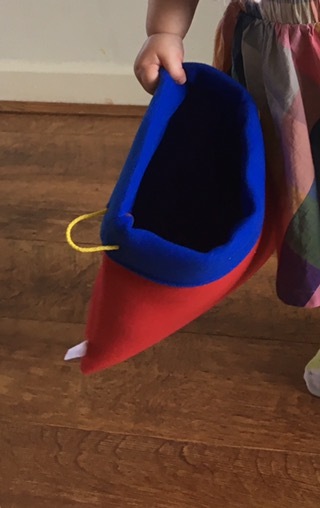 The idea behind it is to fill this bright, soft and beautifully made bag with objects and ask the child to feel them, describe them and guess what they are. A fun, engaging activity to encourage children to develop their language skills. 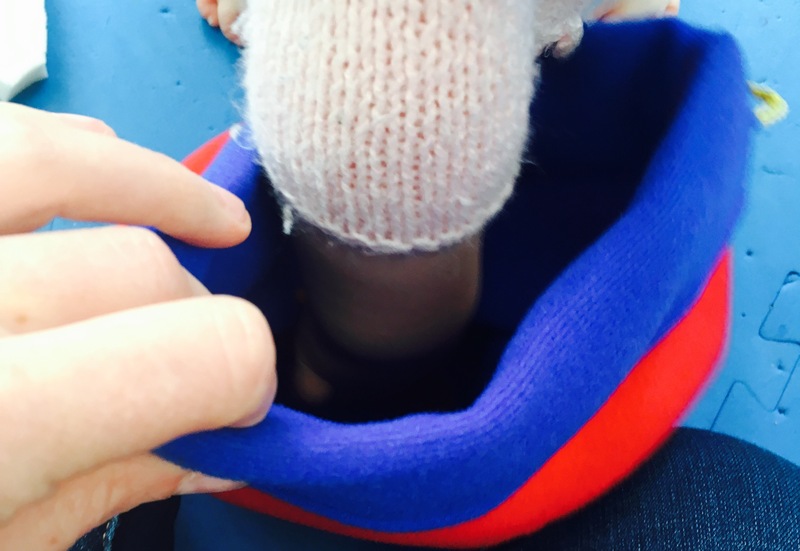 Simple– I adored the simplicity of this activity. Often the best resources are the least complicated. You just put objects in, the child feels them and describes them. It’s extremely easy to explain. Fun– It’s a really fun activity for young children. Kids love surprises and mystery so this resource is ideal. We had a lot of giggles guessing the objects, talking about how they felt and then checking if they were right. They also loved having a go at setting up the bag for others. We even found it to be an excellent game for learning first words. Develops Key Language Skills- This is a fantastic resource for the classroom, one to one tuition and for parents to try at home with their kids. 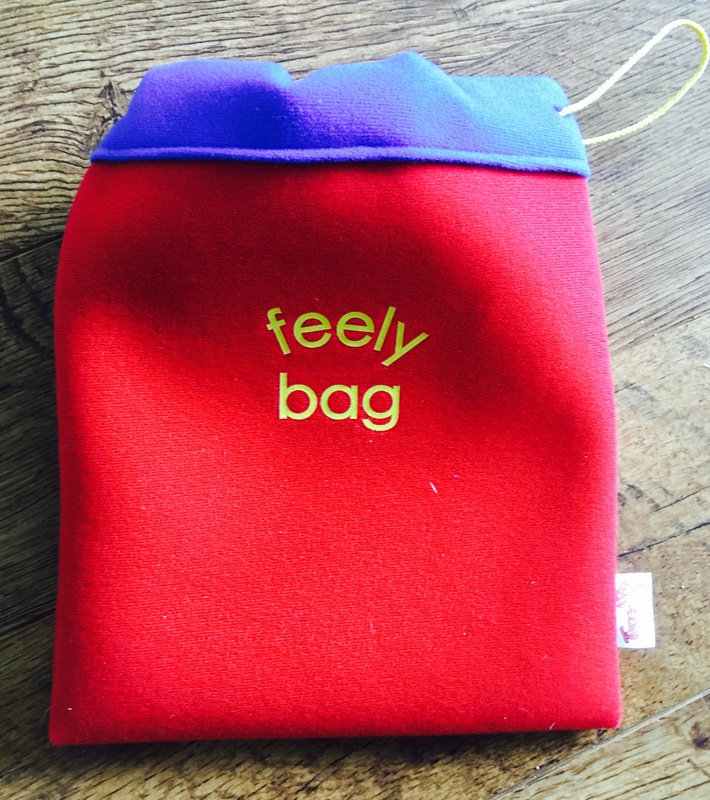 Asking children to describe what they can feel in the feely bag is brilliant for encouraging them to practise descriptions. It’s an excellent tool to support children in expanding their vocabulary, in a fun and informal way. This is something I can use in the classroom, like you say, to encourage describing objects by feel alone. Great little resource to give to my TA to be used with small groups of children. Absolutely, great suggestion of its use. It’s a lovely resource for encouraging speech and language skills in a fun way.